3d printed designs in titanium. 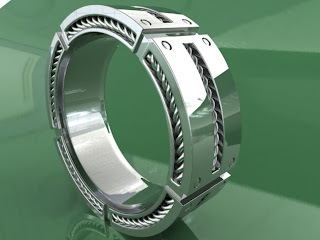 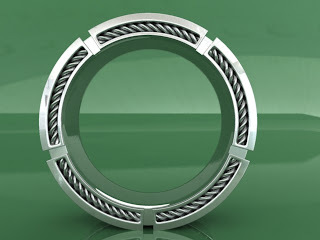 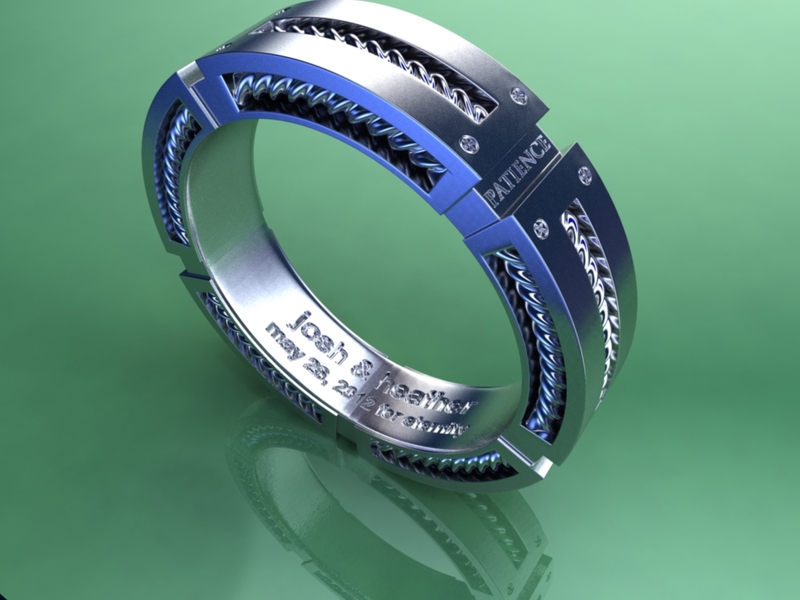 This is a preview of the model we made at www.designanything3d.com for a clients wedding rings. Very masculine in features and a lovely matching set. 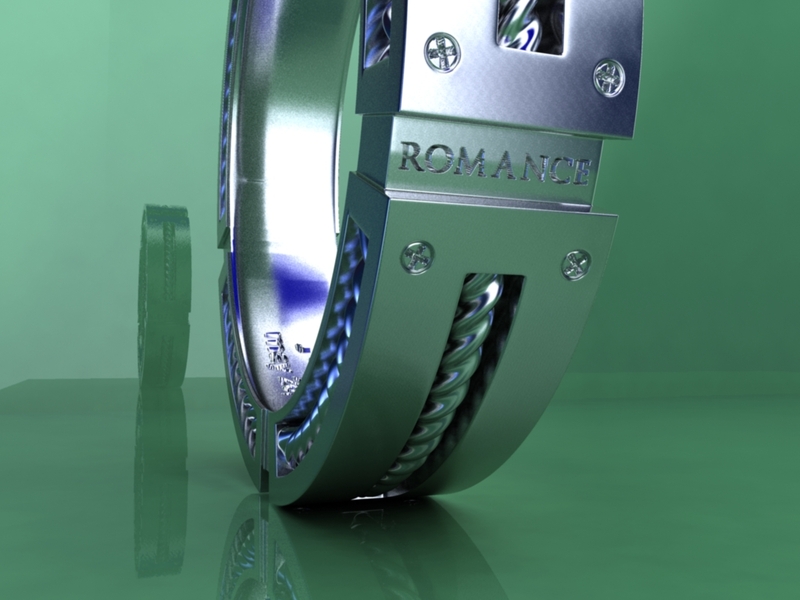 Final designs to come.